Hosta 'Sun Power' is a golden-colored hosta that seems to glow in the shade. It also holds its color nicely in sun. This hosta has an upright, vase-like shape and lavender flowers in summer. Height: 55 cm (22 inches), Spread: 55 cm (32 inches). USDA zones: 3-9. Ligularia 'Bottle Rocket' has serrated, dark green leaves and mustard flowers on chocolate-colored spikes. 'Bottle Rocket' prefers moist conditions and clay soil. Divide in spring every 3 or 4 years. Slugs can be an issue for this plant. Full sun (with moist soil) or light shade. Height: 70-85 cm (27-33 inches), Spread: 60-70 (23-27 inches). USDA zones: 4-9. 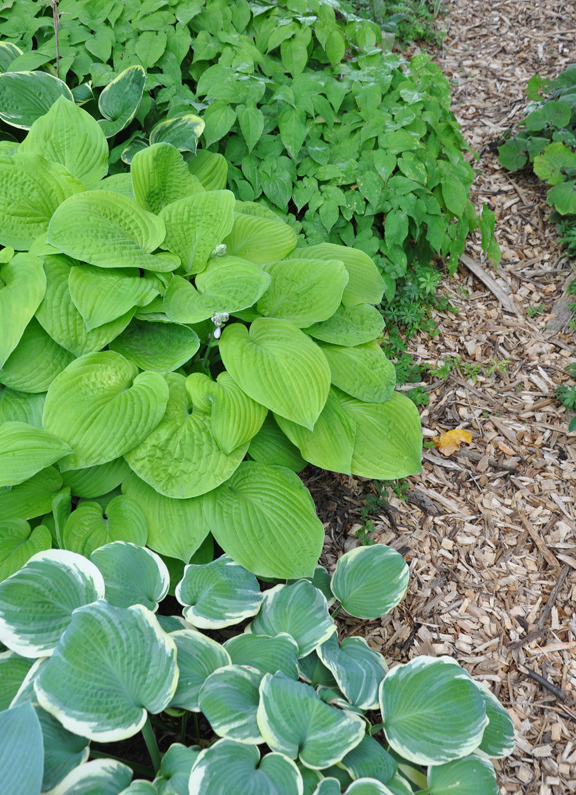 Gardeners dealing with shady conditions quickly come to value and appreciate hostas. Not only do hostas thrive where other plants often fail, they come in an amazing array of shapes, sizes, colors and textures. 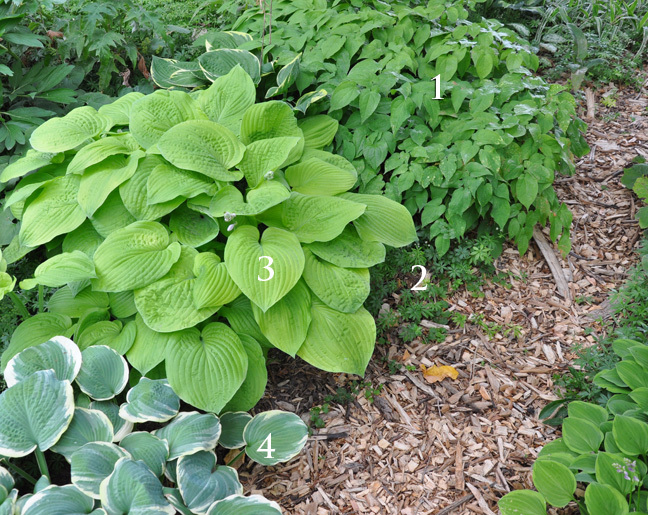 Hostas are resilient plants that tolerate a variety of light, soil and moisture conditions. Though their leaves sometimes fall prey to slugs and other critters that like to nibble, hostas can look attractive from spring well into the fall. The wide range of hosta cultivars alone can make for some terrific combinations, but in today's post, I thought I would highlight other perennial partners that, when mixed in with hosta, really add an extra level of sophistication to any shade garden planting. Take the plant combination in the opening image for example. Both the similarity of colors, and the opposite– the contrast of colors, work to make for an interesting mix of plants. The yellowness of the leaves of the hosta 'Sun Power' are reinforced by the dark spikes of yellow Ligularia flowers in front of it. 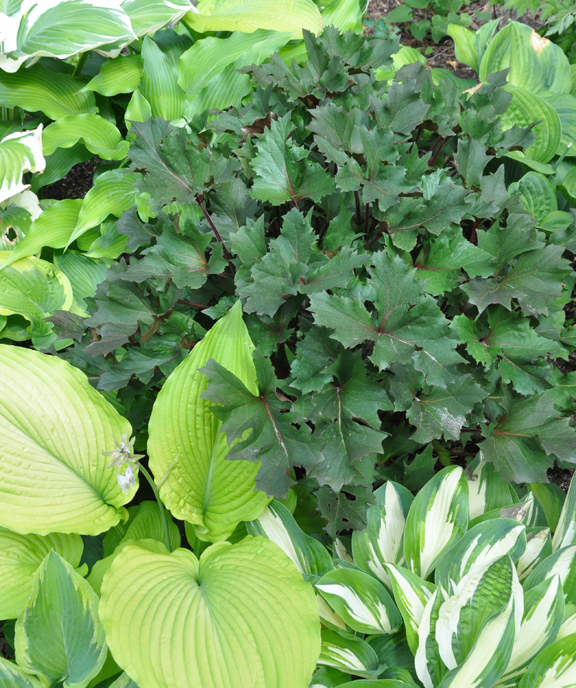 At the same time, the bright colored leaves of the hosta contrast nicely with the darker green leaves of the Ligularia. Even shape and size contribute to the success of this paring. 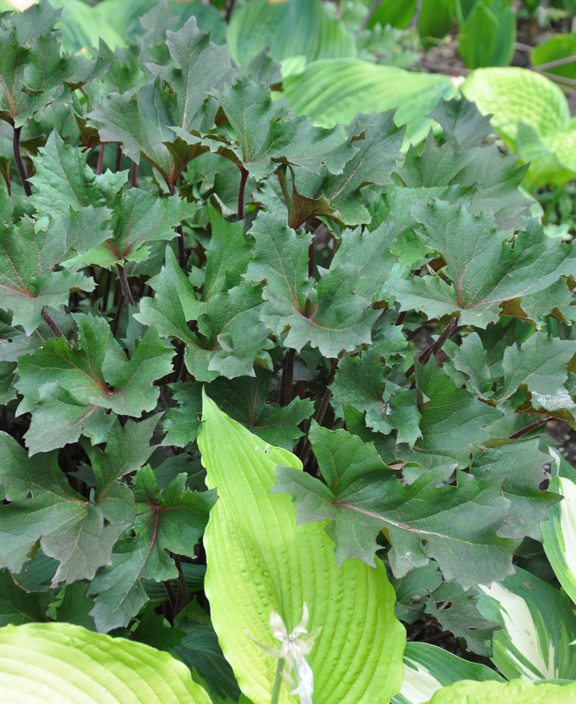 The small, sharply serrated leaves of the Ligularia make the large, corrugated leaves of the 'SunPower' hosta seem even more striking in comparison. 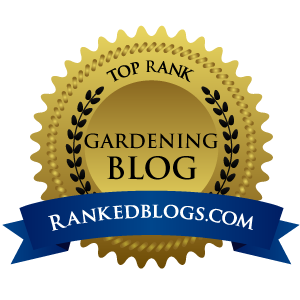 The inspiration for this post came from a visit I paid to Gardens Plus nursery last July. 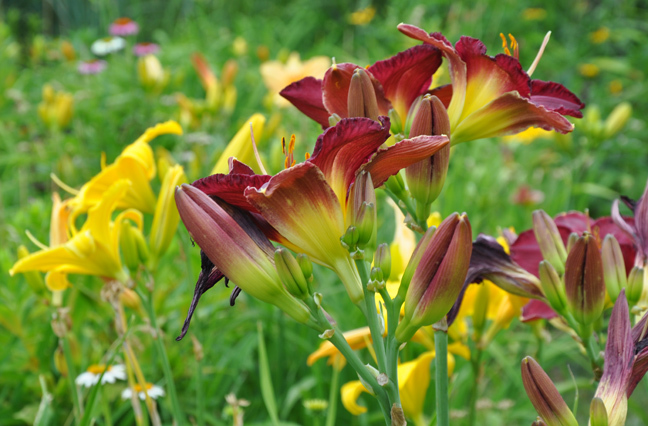 I was in the market for a new pink or peach daylily, and being fussy about flower color– especially pink, I wanted to make my choice from dayliles that were in bloom. So one weekend, when it was too hot to do anything else, we packed a lunch and drove to Donwood, Ontario (near Peterborough). Gardens Plus is a mail order company and nursery that has a large display garden. After I picked out a daylily, which ironically turned out to be neither pink nor peach, I wandered around the display garden. While I had come for the daylilies, it was the plantings of hosta that particularly caught my eye. They looked so beautiful and healthy despite last summer's heat and drought. 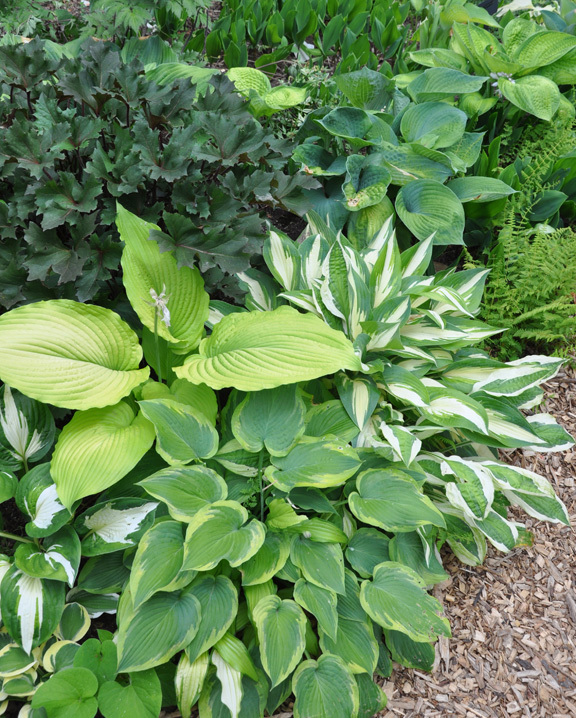 Not only did I find myself admiring the different hosta cultivars, I thought that the perennials I found mixed in with the hostas really added to something appealing to the shady area of the display garden. Hosta 'August Moon' has large, deeply crinkled chartreuse leaves. White flowers. Height: 50 cm (20 inches), Spread : 76cm (30 inches). USDA zones: 3-9. Hosta 'Pizzazz' has thick, corrugated, heart-shaped leaves with a creamy-white edging that waves softly. This hosta has dense clusters of white flowers. Height: 45 cm (18 inches), Spread : 120 cm (48 inches). USDA zones: 3-9. The supporting cast of perennials planted in among 'August Moon' and 'Pizzazz' add a nice contrast of scale. 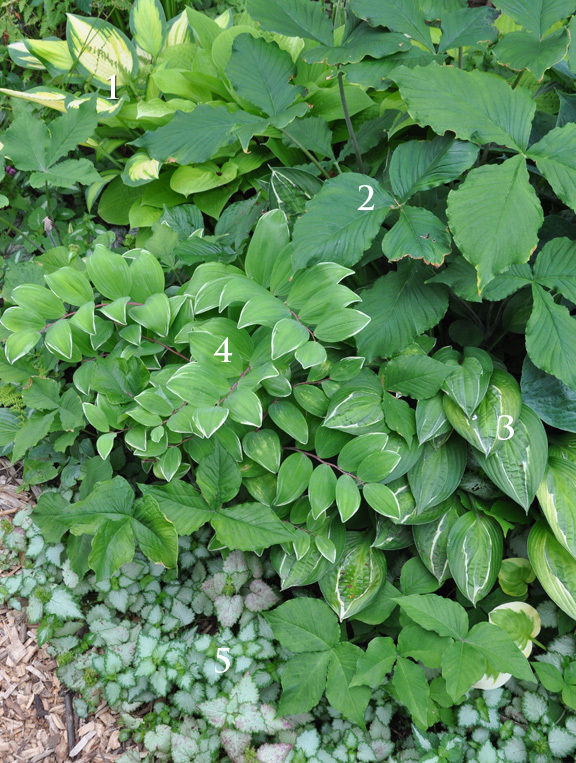 The small, spear-shaped leaves of the Epimedium (1) and the tiny, daisy-like leaves of the Sweet Woodruff (2) made the foliage of the larger hostas seem even more impressive and imposing. 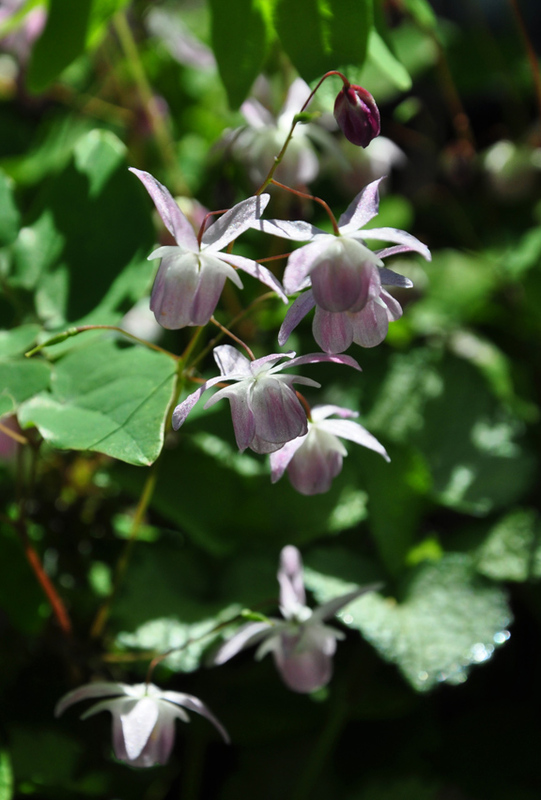 Roseum Barrenwort, Epimedium x youngianum 'Roseum' is a woodland plant that has dainty lavender-pink flowers with green foliage. The leaves are red-tinged in spring and have burgundy overtones in the fall. Epimediums do take a few years to reach a mature size, but they are long lived. Prune old leaves to the ground in late winter for best leaf color in spring. Drought tolerant once established. Part-shade to full shade. Height: 20-30 cm (8-12 inches), Spread :30-45 cm (12-18 inches). USDA zones: 3-9. 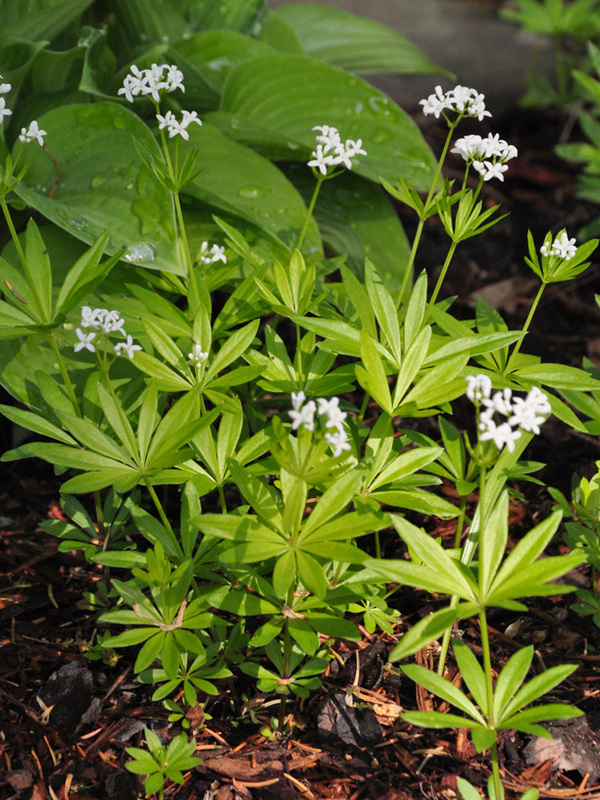 Sweet Woodruff, Galium odoratum is a great groundcover for shady areas, if you have ample space for it to spread (and spread it does to the point that it is often considered invasive, so choose your spot very carefully). Sweet Woodruff also makes a wonderful understory for late spring bulbs. Part shade to full shade. Average to moist growing conditions. Smells like fresh cut hay. Height: 10-20 cm ( 4-6 inches) USDA Zones: 2-9. Hosta 'Teeny-Weeny Bikini' is a miniature hosta that has long, yellow leaves framed by a green margin that streaks into the centre. Deep purple flowers. Height: 10 cm (4 inches), Spread : 20 cm (8 inches). USDA zones: 3-9. Hosta 'Sun Mouse' is part of the miniature 'Mouse' series and has rounded gold foliage. It is a bit shorter and wider than 'Blue Mouse Ears'. 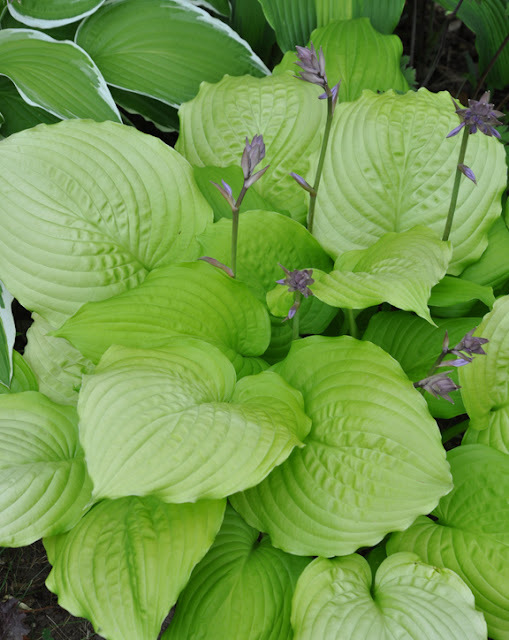 For best foliage color, plant this hosta in dappled shade or morning sun. Lavender flowers. Height: 15 cm (6 inches), Spread : 45 cm (18 inches). USDA zones: 3-9. Hosta 'Allegan Fog' has shiny leaves with green margins and cream centres are streaked with green. 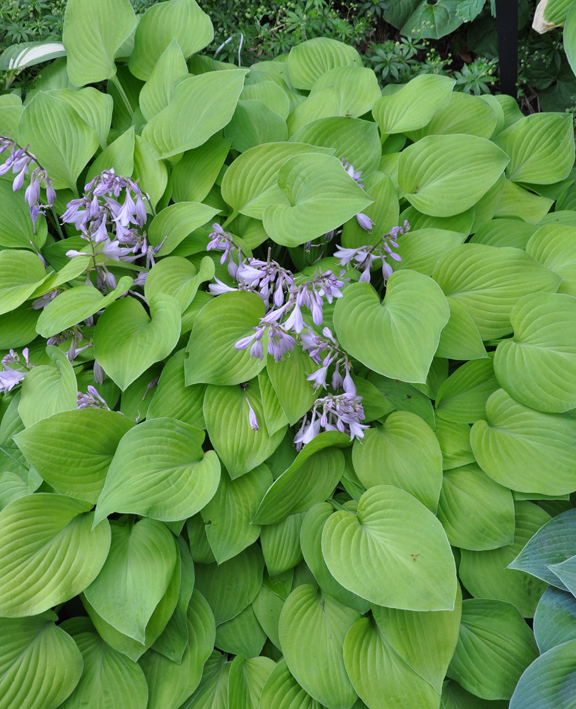 This is a compact mound-shaped hosta with pale lavender flowers in summer. Height: 35 cm (14 inches), Spread : 45 cm (18 inches). USDA zones: 3-9. 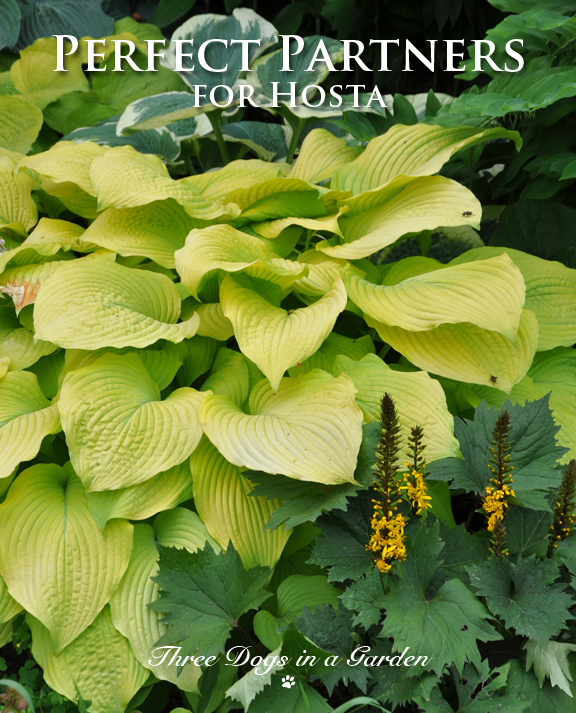 Hosta 'Victory' was "Hosta of the Year in 2015"
Hosta 'Victory' has shiny, curvaceous green leaves with a margin of chartreuse that ages into a creamy-white as the gardening season progresses. Good slug resistance. Height: 90 cm (36 inches), Spread : 160 cm (64 inches). USDA zones: 3-9. Hosta 'Dancing Queen' has yellow-green leaves that have a rippled edge. Lavender flowers. Height: 45 cm (18 inches), Spread : 60cm (24 inches). USDA zones: 3-9. 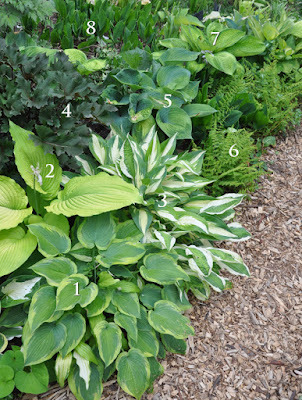 I thought that this was a really attractive grouping of hosta. I also have to point out what a nice job Sweet Woodruff does in filling in the gaps between the larger plants. Hosta 'August Moon' has large, deeply crinkled gold leaves. White flowers. Height: 50 cm (20 inches), Spread : 76cm (30 inches). USDA zones: 3-9. 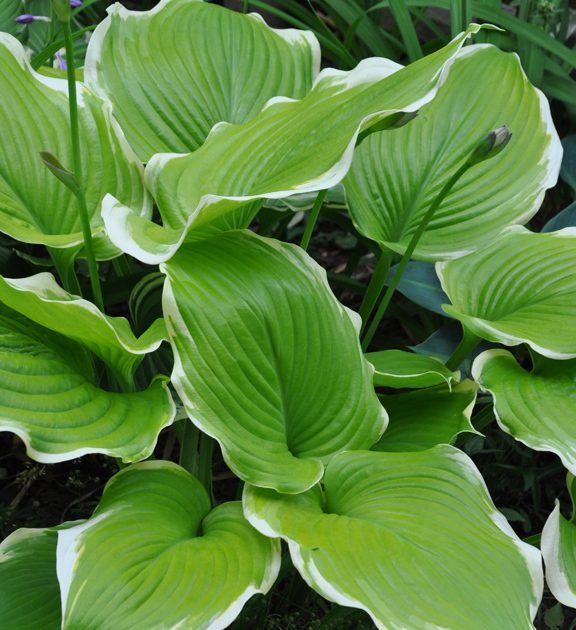 Hosta 'Pizzazz' has thick, corrugated, heart-shaped leaves with a creamy-white edging. 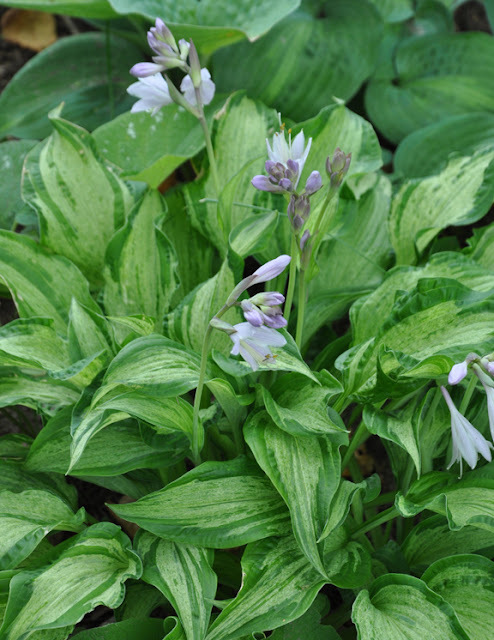 This hosta has dense clusters of white flowers. Height: 45 cm (18 inches), Spread : 120 cm (48 inches). USDA zones: 3-9. Hosta 'Halcyon' has blue, heart-shaped leaves. White flowers. Height: 40 cm (16 inches), Spread : 70cm (28 inches). USDA zones: 3-9. Hosta 'Birchwood Parky's Gold' has ruffled, chartreuse leaves and lavender flowers. Height: 40 cm (16 inches), Spread : 75cm (30 inches). USDA zones: 3-9. Brunnera 'Jack Frost', a perennial which has silver-green patterning on its foliage, is nice foil for the larger, solid green leaves of the hosta behind it. Brunnera macrophylla 'Jack Frost' has heart-shaped, silver colored leaves that are veined in a bright green. Sprays of blue flowers, which closely resemble forget-me-nots, appear in mid-spring. 'Jack Frost' can take more sun that many other types of Brunnera, but it prefers afternoon shade particularly in hotter gardening zones. Average garden soil is fine, but 'Jack Frost' likes moist conditions. Height: 30-40 cm (12-16 inches), Spread: 30-45 cm ( 12-18 inches). USDA Zones: 2-9. I have never liked Ligularia flowers– I think their a bit homely to be honest, but I am becoming a huge fan of their foliage. I liked the Ligularia you see here so much, I had to buy a plant. Ligularia 'Cafe Noir' is a unique Canadian cultivar that has jagged green leaves and reddish stems. In spring the emerging leaves are black-purple. Then the foliage ages to a more bronzed shade of green. Mid-summer 'Cafe Noir' produces yellow flower spikes. One drawback– this Ligularia is prone to slug damage. Average to moist soil is preferred. Part-shade. Height: 50-60 cm (20-23 inches), Spread: 45-60cm (18-23 inches). USDA Zones: 4-9. 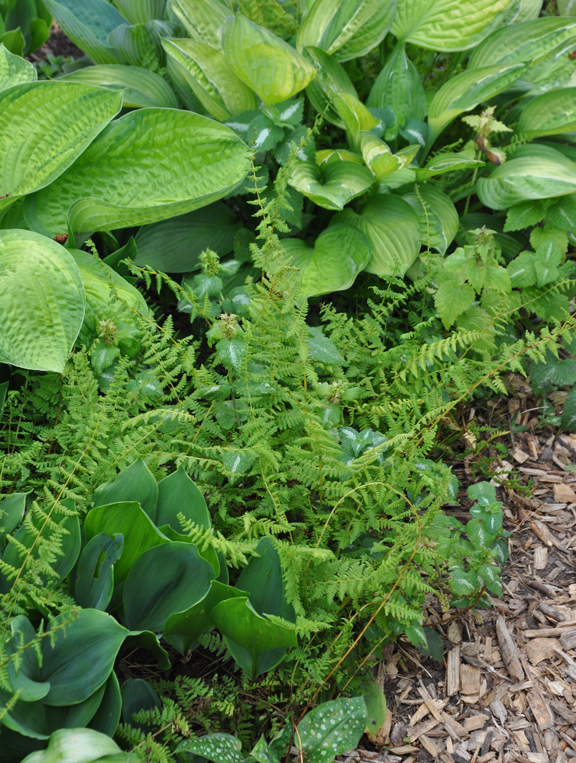 Ferns can provide a soft or delicate element to any grouping of hosta plants. On the outer edge of this group of hosta, a Berry Bladder Fern, Cystopteris bulbifera is as delicate as a lace cuff on a silk blouse. Berry Bladder Fern, Cystopteris bulbifera is also called the "Bulbet Fern" or "Fragile Fern''. It has bright-green lacy fronds. It likes to live among boulders, in cracks and crevices in dolomitic limestone and in alkaline soils. In spring, light green fronds emerge with bright red petioles. The mature fronds develop bulbils underneath. These drop to the ground producing new plants. Dappled light or part shade. Height: 20cm (8-12 inches), Spread: 30 cm (12-24 inches). USDA Zones: 3-7. The newly emerged "fiddleheads" of an Ostrich Fern are edible. A pale 'Ghost Fern' would look terrific pared with a chartreuse or blue-grey hosta. Taller Ostrich Ferns, Matteuccia struthiopteris can make a really nice backdrop to a mix of hosta. Japanese 'Ghost Fern' has that has upright, silvery-grey-green foliage. It forms a slow spreading clump and likes soil that is rich in organic matter. The 'Ghost Fern' is more tolerant of soil dryness than other types of Japanese ferns, but it prefers soil that has medium to average moisture. Height: 90-120 cm (36-48 inches), Spread: 30-45 cm (12-18 inches). USDA Zones: 4-9. Ostrich Fern, Matteuccia struthiopteris is a clump-forming, upright deciduous fern. 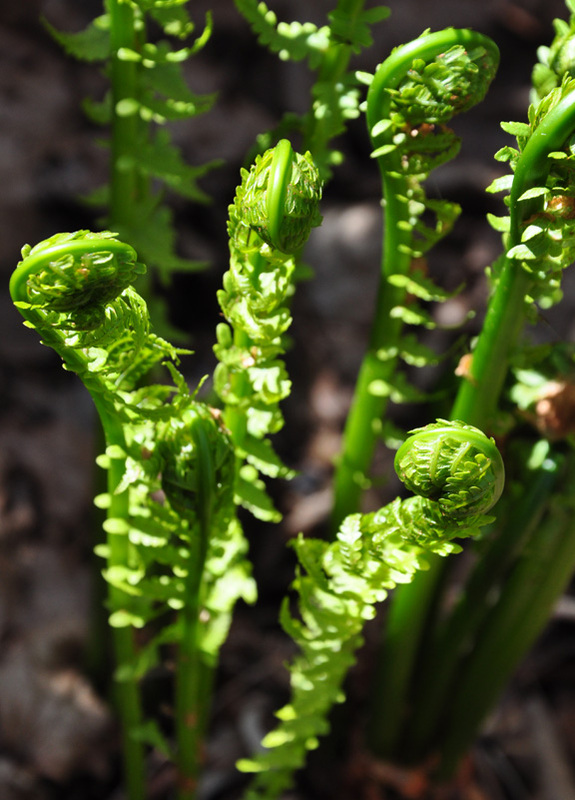 'Fiddlehead' shaped shoots emerges at the base of the clump in spring and unfurl into broad green fronds. The foliage does depreciate over the summer and can look a bit tattered by fall. This fern is easily grown in medium to wet average garden soil. It will colonize an area with favourable conditions over time. Intolerant of hot, humid summers, so it is not a good choice for more southern gardens. Part-shade to full shade. Height: 90-120 cm (36-48 inches), Spread: 60-90 cm (24-36 inches). USDA Zones: 3-7. Hosta 'Hanky Panky' has green leaf with a green centre and a creamy thread in between. In late summer the edge turns creamy-white with an unusual green overlay. Lavender flowers. Height: 35 cm (14 inches), Spread : 60 cm (24 inches). USDA zones: 3-9. 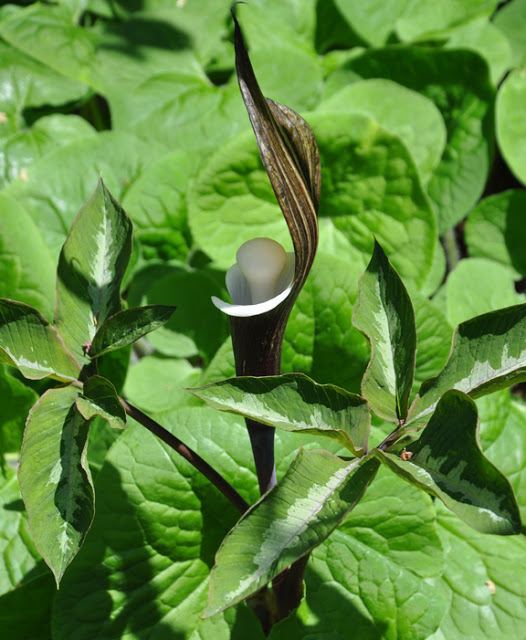 Japanese Cobra Lily, Arisaema Sikokianum has a brownish-black hooded flower and two leaves splashed with silver. One leaf has three lobes and the other has five. The dark hood has a pure white lining with a rounded spadix at its centre. This plant will sometimes produce seed heads that will ripen to a bright red-orange in the fall. Arisaema can be slow to sprout in the spring and may not sprout until summer, especially if the tuber is newly planted. This plant likes rich, well-drained somewhat sandy soil. Water regularly in summer. Part-shade. Height:15- 30 cm (6-12 inches), Spread: 15- 30 cm (6-12 inches). USDA zones 4-9. 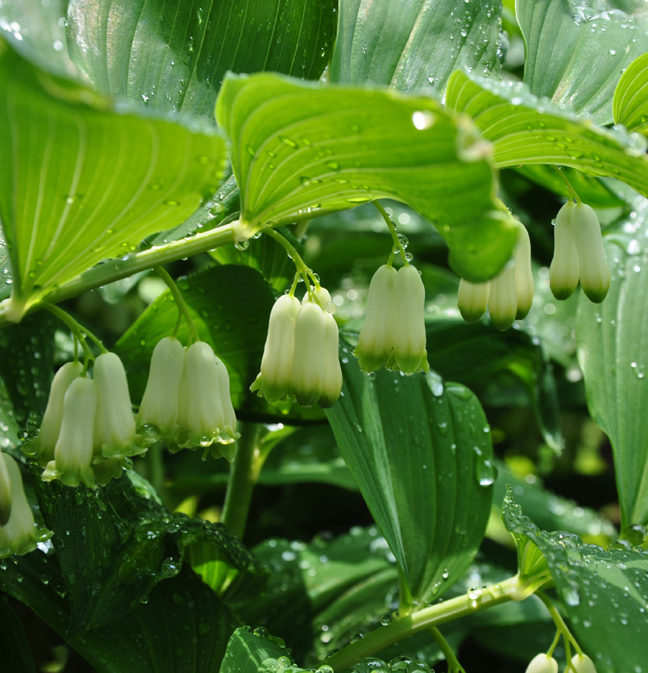 If you would like to learn more about Solomon Seal, check out this post. There are a number of cultivars of Solomon Seal, including the variegated one at Gardens Plus. Solomon Seal are elegant, statuesque plants that look terrific as a backdrop for any group of hosta. 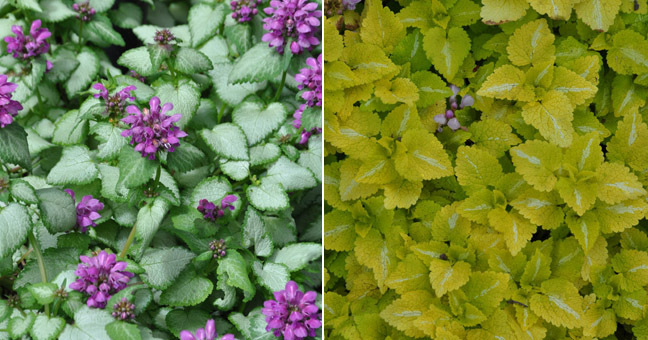 Many varieties of Lamium form a great groundcover that works beautifully at the front of any shade planting. They are not invasive (although they do self-seed). Read more about different varieties of Lamium here including one I wouldn't recommend you don't plant. This ends our tour. 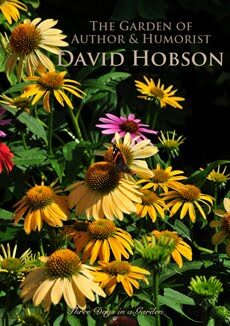 I hope you have found the inspiration you need to create a few shade plant combinations of your own this spring. 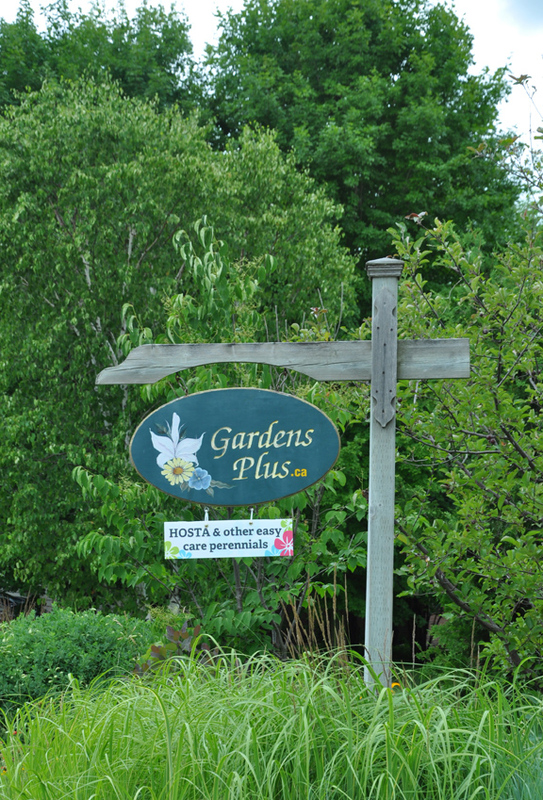 Gardens Plus is a mail order company and nursery located in Donwood, Ontario (near Peterborough). They ship plants Canada-wide. 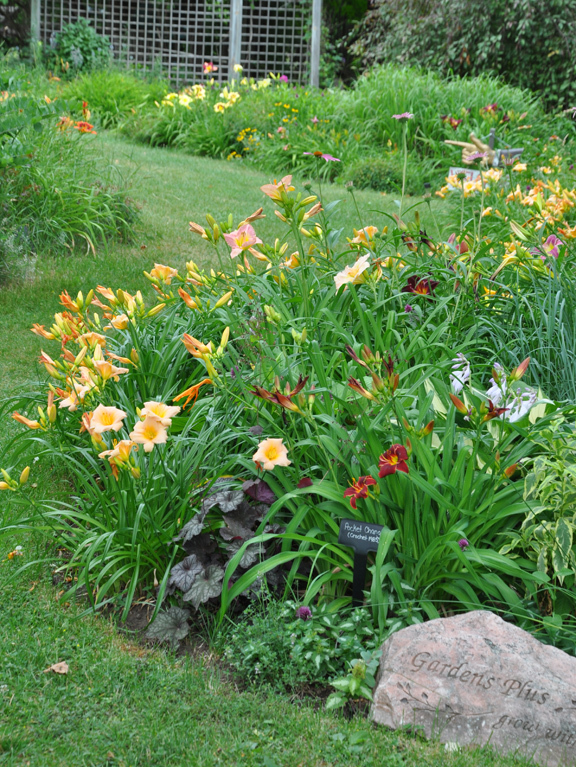 The nursery offers a selection of over 1200 perennials including hosta, daylilies, hellebores, coneflowers and coral bells. As well as the nursery, there is a display garden that is open to visitors and large groups alike. 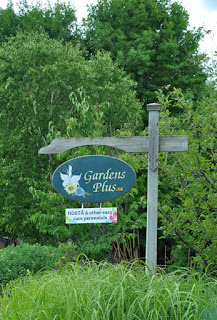 Visit the Gardens Pus website. Disclaimer: This is not a sponsored post. 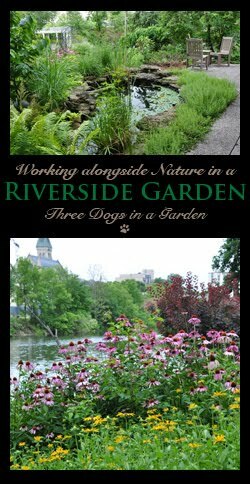 I do not stand to benefit in any way from plants you may order or purchase from Gardens Plus. Wow, great photos and great combos! Thanks for sharing! I have so much shade, need ideas to fill it. Thanks! Jenny, you'll be glad to hear that I plan to showcase a series of shade gardens in the coming months. These are some really beautiful combinations, Jennifer, and I absolutely LOVE that Japanese Cobra Lily. I've never seen anything like it. I don't have a Jack-in-the-pulpit yet, but it is going on my wish list. They grow in the forested area just behind the house, so that makes me think that a Jack-in-the-Pulpit would do great in my garden. We went out into the forest north of Barrie and dug up a Jack-in-the-pulpit two years ago and it is doing very well in our shade/hosta garden. We always look for 'Jack' in the Spring. Wow! This is a wonderful post with so many beautiful shade combinations. I particularly like your Hosta and Brunnera 'Jack Frost'combination. It is the perfect mix of texture and color. Nicely done! Thanks Lee. I really liked this plant combination too. Lamium may not be invasive in Ontario but it sure is here! I can't get rid of the stuff!! If you can recommend something that the deer won't eat and that grows in the dry shade of a HUGE blue spruce I will love you forever :) Beautiful combos, can't wait to start gardening again. Did you hear we got 60 cm of snow over the weekend? GAH! What I suspect you have Anne is actually a False Lamium. False Lamium 'Variegatum' or Lamium galeobdolon ' Florentinum' spreads by runner like strawberry plants do and it is a real nusiance. Try Lamium maculatum 'White Nancy' or one of the other varieties of Lamium available. I did hear about the snow you guys got out there on the west coast. 60 cm! Yikes! We just have a dusting of snow here, but man is it cold! Have a great weekend! So many lovely combinations here, Jennifer! Heucheras are another favorite of mine, too, especially with all the different colorful cultivars available now. Heuchera would have been a great one to include. The only reason I didn't include it was the fact that sadly I hadn't photographed any plant combinations with Heuchera. Jennifer, wonderful companion plantings for hosta, I love all the heucheras on the market today. I have a lot of hosta in my garden, but every year I seem to add just one more. Collecting them does become addictive. You are the second gardener to mention Heuchera. 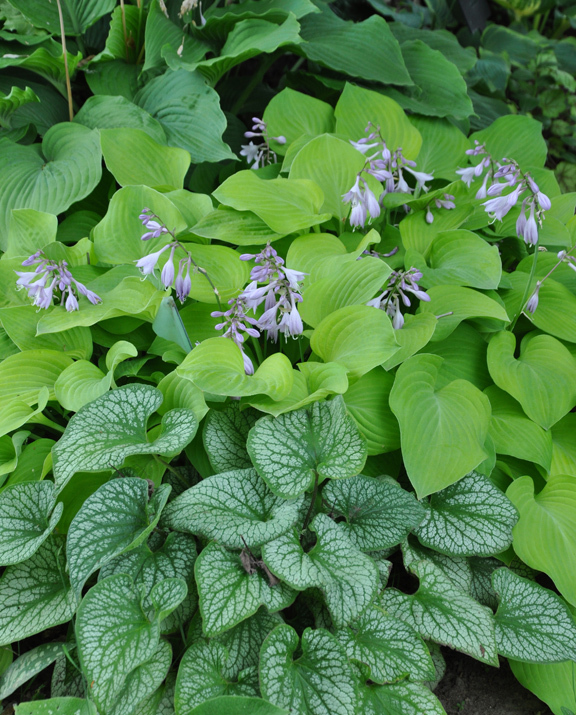 I agree whole heartedly that they are a great companion plant for hosta. I love the bleeding hearts at the header -- perfect for soon to be spring. Oh how I love Hostas. I have some of the ones you featured and should remember to write down their names. 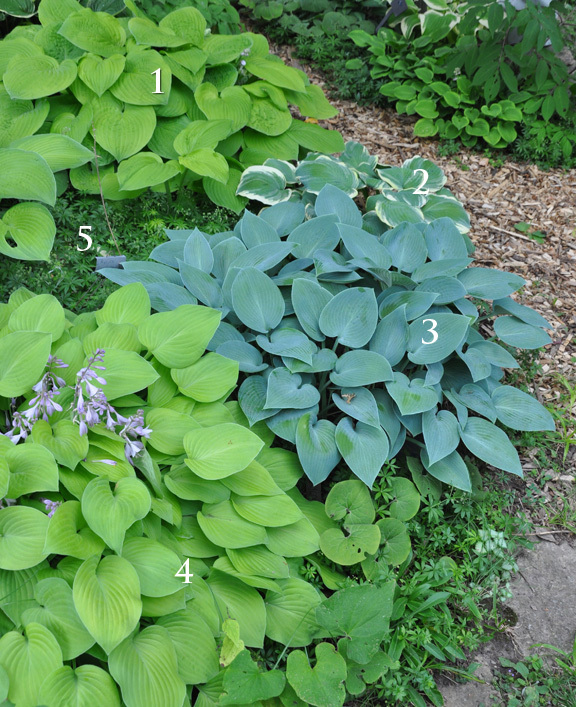 Hostas can really be complemented when paired with certain other plants. Before moving to the West Coast I always wanted a Solomon's Seal but never lived where it was warm enough (zones 1 and 2). One of the first plants I bought was SS and I adore it. She hovers beautifully over a hosta. I had to smile at two of the names of the small hostas, 'Teeny-Weeny Bikini' and 'Sun Mouse' -- actually I love the Sun Mouse variety and will see if any of the nurseries around here have it. I love those darling leaves because they do look like the ears of mice. Hosta have some of the best names around Diane. There is one called 'Humpback Whale'. I'd love to have it just for the name!